Quick service restaurants operate digital signage to power digital menu boards that grab viewer’s attention. 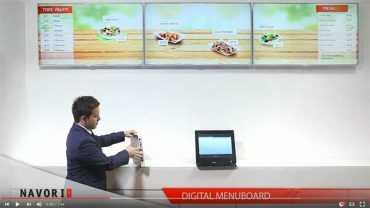 Digital Signage has become a standard in restaurant and QSR locations. It is replacing printed back lite communication by improving flexibility to change menus easily and up-sell and impulse high margin products. Quick Service Restaurants use digital signage for electronic menu boards and digital signs in restaurant, drive through and take away. Kiosk ordering and connected to the digital menu boards showing take away deliveries. • Benefit from customer’s wait time to up-sell & promote new items. • Create sophisticated menus and offer a “WOW!” factor to customers. • Ease of menu changes and day-parting, new items, auto disable sold-out items. • Maintain up-to-date pricing HQ, in restaurant manual control or POS system synchronization. • Update menu both locally and remotely. • Enhances the customer experience & lower perceived wait times. • Cost-effective: Eliminate printing and shipping of materials and labor. Digital signage helps QSR chains to preserve the brand and maintain visual consistency. 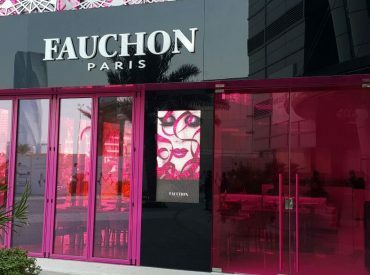 Local regulations in western countries requiring the display of calories and nutritional facts, in turn accelerated the switch to digital menu board displays. Remotely update and reconfigure your menus. Offer interactive menus and promote new items differently. Ease of menu changes to accommodate regulations regarding ingredients. Plan ahead new menus and activate their broadcast automatically.